Furious doctors condemn PM Morrison for ‘turning his back’ on critically ill children as details released of health crisis facing 52 kids left behind on Nauru. Today for the first time, health information has been released detailing the disturbing condition of critically ill children that the Morrison Government has left behind on Nauru. One in four of the children remaining on Nauru are suicidal. 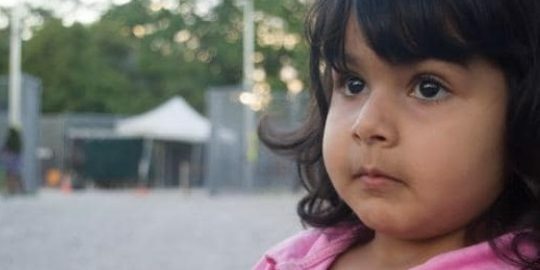 Toddlers who were born into detention on Nauru are suffering developmental delays including problems with their sight and simple activities like walking. A further 22 cases have been flagged for urgent written independent medical opinions by Australian doctors. Child Psychiatrist, Dr Julie Stone has reviewed many of the children’s medical cases and holds grave concerns for their welfare. “All these children are at risk of significant developmental delay; some of the impairment may be life-long, and specialist intervention is urgently needed,” Dr Stone said. In particular Australian medical professionals are concerned for the babies on the island who were born into detention. “These are a very worrying signs in young children that need urgent specialist intervention,” Dr Stone said. “Case workers, medical professionals and lawyers working with children and families understand the urgent need for medical transfers to save children’s lives, yet we are being ignored by decision makers in the Government,” Natasha said. Dr Julie Stone and the ASRC condemn the government for holding babies, children and their parents in traumatic conditions on Nauru, where there is no proper medical care nor hope for the future. Doctors continue to call for the evacuation of all children off Nauru with their families for proper medical treatment and specialist assessment in Australia.